There are several committees, which support the cause of educational development in SLIM and among them the Board of Study and Education Reforms Committee plays a vital role. The Board of Study and the Education Reforms Committee of the Sri Lanka Institute of Marketing has been newly appointed for the year 2018/19. The committees include an academic and professional panel of individuals who have been continuously supporting SLIM throughout the years. The Board of Study (BoS) evaluates and provides strategic direction for SLIM Education and is the foremost authority on all educational programmes at SLIM. The committee consists of senior and well respected members of the marketing profession as well as from academia who represent the local universities in Sri Lanka. The BoS enhances and stabilizes the international standards and quality of SLIM education by imparting advice on marketing and educational developments, identifying current requirements in the country and ascertaining how SLIM can get involved in addressing these features at the national level. The newly appointed BoS consists of, the Chairman of the Board of Study – Prof. Sampath Amaratunge, the Vice Chancellor of the University of Sri Jayawardanepura, Prof. K. U. Kamalgoda, the Past President of SLIM and visiting Professor at the University of Sri Jayawardanepura, Prof. J. A. S. K. Jayakody, Associate Professor in Management and Organization Studies at the Department of Management and Organization Studies, Faculty of Management & Science of the University of Colombo, Mr. Dehan Senevirathne, the Past President of SLIM and a Marketing / Management Consultant, Prof. Ajantha Dharmasiri , the Director and the Chairman of the Board of Management at Postgraduate Institute of Management (PIM), Prof. Sarath Kodithuwakku, the Head of Department of Agricultural Economics and Business Management and Coordinator – MBA at the University of Peradeniya and the President of the Institute of Management of Sri Lanka. The Education Reforms Committee (ERC) ensures service excellence and student satisfaction at SLIM. It also contributes to building confidence in SLIM marketing education among the business community in Sri Lanka. The committee consists of experienced marketers, marketing academics and past presidents of SLIM. The newly appointed Education Reform Committee includes, the Chairman of Education Reform Committee Prof. Arosha Adikaram, Professor of HRM at University of Colombo, Mr. G. S. Sylvester Consultant, Trainer & Lecturer, Prof. Nalin Abeysekara, Senior Lecturer at the Department of Management Studies at Open University of Sri Lanka, Mr. Ramal Jasinghe, the Director of Institutional Business at Fairfirst Insurance Ltd, Mr. Deepal Abeysekera, the CEO at Peoples’ Insurance Ltd, Dr. Dinesh Samarasinghe, Senior Lecturer at the University of Moratuwa’s Faculty of Business, Dr. Thusitha Gunewardene, the Dean of the Business and Finance Faculty, University of Ruhuna, Mr. Ruwan Liyanagamage, the Past President of SLIM. 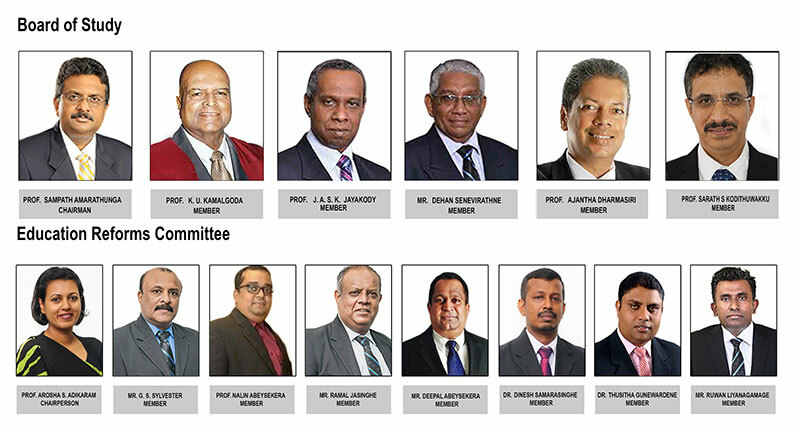 Congratulating the newly appointed members, the President of SLIM, Mr. Pradeep Edward stated, “The Board of Study and the Education Reforms Committee of SLIM for the year 2018/19 have been appointed to maintain the continuous quality and consistency of the educational service providence of the organization. I congratulate all the newly appointed individuals and hope that SLIM’s educational service would raise its standards with the guidance of the new ERC and BoS members”. Speaking at the event, the Vice President – Education, Mr. Suranjith Swaris stated, “SLIM has always recognized the need for providing regular high quality services to our stakeholders. The appointment of the new committees for ERC and BoS lights up the quality of SLIM’s overall educational performance. The members who have been appointed are assets to the current organizational performance”. SLIM is the National body for Marketing in Sri Lanka and has been promoting marketing excellence and elevating the status of marketing since 1970. It is a member of the National Chamber of Commerce of Sri Lanka (NCCSL), Organization of Professional Associations of Sri Lanka (OPA) and Federation of Chamber of Commerce and Industry of Sri Lanka (FCCISL), Employers’ Federation of Ceylon (EFC), National Chamber of Commerce (NCC) and the Asia Marketing Federation. SLIM obtained both ISO 9001:2015 certification in recognition of SLIM’s superior quality management system and ISO 2990:2010 for Learning Service Provider (LSP), proving non-formal education and training services, which enables SLIM to maintain and ensure the high standard of quality education to all students.